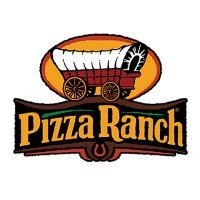 The Pizza Ranch, Inc. is an American “fast casual” pizza restaurant chain. The company is the largest pizza chain in North Dakota, South Dakota, Iowa, and Minnesota. They also operate in Kansas, Colorado, Illinois, Michigan, Montana, Missouri, Wisconsin, and Nebraska. In 1981, the company’s first restaurant was established in Hull, Iowa. At that time, they offered only six original house pizzas. They only added chicken to their menu when they opened their third location in Sioux City, Iowa. Paytronix Systems, Inc., a rewards program solutions provider, announced that the pizza chain was the winner of the 2016 Paytronix Loyaltees Award due to the success of the company’s Black Friday Double Points Promotion. Employees who work for the restaurant chain get flexible schedules. They also get free lunch, employee discounts when they dine at one of the company’s locations, and they also get to take home free food. The employees love working for the company because it has great management and a positive workplace atmosphere. Furthermore, they also like how enjoyable and fast-paced their work is and the free food helps them budget their money. Applicants who wish to work at Pizza Ranch must ensure that they possess all the job requirements and must pass the minimum age requirement of at least 18 years old. The company offers great career opportunities for job seekers who can help them satisfy customers. Cashier: A cashier ensures that the restaurant’s customers get the best checkout experience. They operate the establishment’s cash register. Their duties include receiving payment, processing transactions, giving change, and securing the cash register. Cashiers need to have a pleasant attitude and be efficient to prevent long queues. Delivery Driver: A delivery driver ensures that orders arrive fresh and safe to the customer’s address. They drive and take care of the establishment’s delivery vehicle. Delivery drivers need to be skilled drivers and must be knowledgeable about the area so they can make fast deliveries. They also accept payments from customers. Cook: A cook is responsible for food preparation. Their duties include preparing ingredients and cooking dishes. They need to have extensive knowledge about the restaurant’s menu so they can prepare food that is at par with the company’s standards. Cooks must possess proper grooming and they must also adhere to the company’s guidelines regarding food preparation and sanitation. Pizza Cook: A pizza cook is responsible for pizza preparation. Their duties include kneading dough, weighing ingredients, putting toppings onto the pizza, and cooking them. Pizza cooks need to follow the company’s recipes so they can create a consistent taste. Because they deal with food, they need to follow the company’s standards regarding sanitation and food preparation. Food Runner: A food runner helps the kitchen staff by bringing food to the dining area. They are tasked with preparing different utensils and drinking glasses. Food runners need to have good organization skills and the ability to handle trays of food and drinks without dropping them. They must also have quickness to ensure that the tables are always filled with food. Front of House Team Member: A front of house team member is responsible for providing excellent customer service. Their duties include greeting customers, providing them with dining essentials, fetching food, and cleaning the tables. They need to have good customer service skills and they need to be quick so the restaurant can operate smoothly. Guest Service Agent: A guest service agent is stationed at the restaurant’s front doors to provide customer service. They greet customers, introduce them to the menu and specialties, help them with their things, and lead customers to their table. Guest service agents need to have good grooming, a pleasant attitude, and excellent customer service skills. Customer Service Representative: A customer service representative provides assistance to the restaurant’ customers. Their duties include talking with customers and informing them about products, and handling complaints. They can also answer emails and calls from customers. Customer service representatives need to have the patience to handle annoyed customers. Restaurant Manager: A restaurant manager supervises the restaurant’s day-to-day operations. Their duties include directing employees, conducting job training, managing the payroll, and evaluating applicants. They can also act as quality control by observing how employees perform their duties, overseeing food preparation, and checking serving sizes. Restaurant managers need to have good leadership skills. Assistant Restaurant Manager: An assistant restaurant manager supports the manager in ensuring the store’s smooth day-to-day operations. While they can provide leadership by directing employees, they also do other jobs that a team member may not be able to handle at any given moment. This includes: cashier duties, cooking, and serving food. Assistant restaurant managers need to have good leadership skills and multitasking ability. Job seekers who are planning to get a job at Pizza Ranch just need to make sure that they have the necessary skills, gather the job requirements and pass their application to one of the company’s locations. For those who cannot do in-store applications, there is the option of submitting an online application. All that they have to do is access the careers section of the company’s website, determine their ideal job, fill up the application form, and click submit. In filling up the application form, they should review their personal information so they can include anything relevant to the application. Once they are done, they should review it especially the contact information. For the resume, they should use a format that highlights their credentials. Furthermore, they should use a simple font style and the right font size for better readability. To prepare for the interview process, the applicants should study the commonly-asked interview questions for the position that they are applying for. They can also do a practice interview with a friend to build their confidence. Pizza Ranch’s culture is all about having a healthy relationship with the community. It is the community that makes them succeed and the company has made it a goal to give back. In 2018, the restaurant chain announced that they will open a new location in Heights, Montana. The said restaurant is going to be their 4th location in the state. The restaurant chain is known for their salad bars, pizza, and chicken buffet. They are also the largest pizza restaurant chain in Iowa, South Dakota, North Dakota, and Minnesota. The company currently operates in 13 states. As an effort to give back to the community, they host fundraising events for various causes. In recent years, they participated in the “Kids Against Hunger” and sent food in relief efforts to Haiti. 1 How old do you have to be to work at Pizza Ranch?